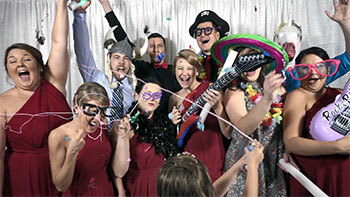 Photo Booth Rental in Raleigh, NC | The Party Booth! A Dynamic and Unique Photo Booth Experience For Your Next Event - Featuring Exciting Slow Motion Video, Social Media Sharing, AND Stills! 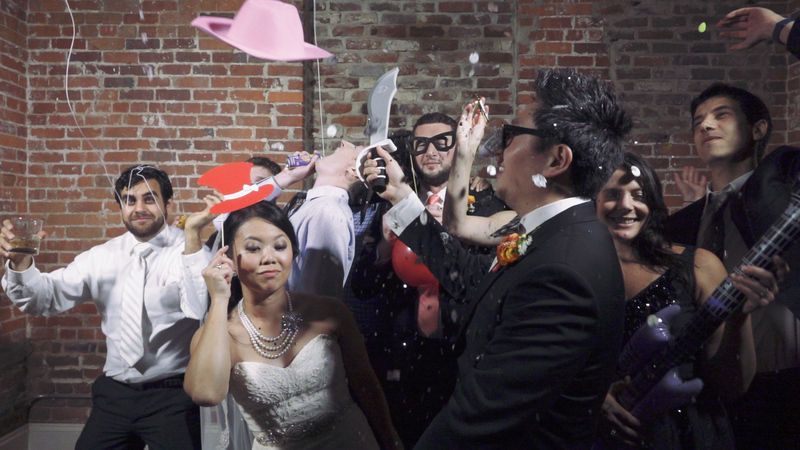 The Party Booth is a unique photo booth unlike any other in the Raleigh, NC area. Combining the best of a slow motion video booth (haven’t heard of this before? Keep reading!) and a traditional photo booth, the Party Booth is guaranteed to be a unique and exciting finishing touch to your next event. Share to Social Media – Your guests will share the fun they’re having at your event with their friends and family complete with custom logos (optional) or text (optional). Watch Again – Watch and Relive the wonderful people in your life having a blast again and again with a downloadable online gallery of all the trips through our booth. You can even have a custom edited music video created for even more fun! On-site photo booth strip printing available (see add-ons) – Great for scrap booking, guest books, and souvenirs! Awesome props – We’ve got an awesome treasure chest of props that your guests will love! Custom options available too! There are many photo booths, but there’s only one Party Booth! Completely custom designed and built in-house with one goal in mind — FUN! Want to personalize your booth? Supply your own logo or select from one of our 50 design templates and we’ll create a custom logo for your event! Colors and other customization options are available. Logos and text can be added to both slow motion video clips and stills produced by the booth! Guaranteed to be a smash it at your reception! Social media enabled, unfiltered FUN. A unique touch for your event or promotion, our booth can be completely customized to perfectly reflect your brand and vision. Everything from branded real-time social media to custom backdrops, props and environments.